The 2016 mid year release of Tata Safari Storme will be essentially called as Safari 400 and this car would be launched sometime in the year 2016. Tata Motors is working on getting new products and every year the company plans to launch 2 new products. This year, Tata has already come up with two products like Tata Bolt and Tata Hexa. Along with this, Tata plans to introduce many upgrades on its existing product portfolio. New Tata Safari 400 launch is expected to happen on Mid-2016. Talking about the features of the car, Tata Safari 400 shall get Harman music system with an output from whooping 10 speakers. According to earlier company plans, the car should have already been launched by year 2014. However, there is a delay of 2 years. Tata Safari 400 is the new model for 2016 and it will compete in terms of power, fuel efficiency, top-notch features and the best space in its segment. The all new Safari 400 is expected to be powered by 2.2-litre engine and shall churn out a maximum power of 170bhp and a peak torque of 400Nm. New Safari 400 would also come in automatic transmission variant, which will be mated to six-speed ZF transmission. 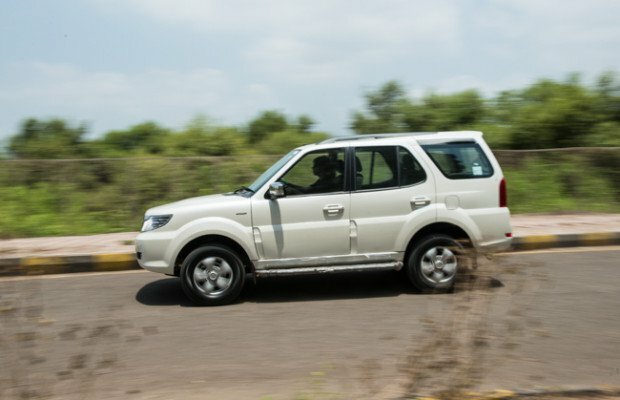 The manual variant of Tata Safari 400 would also get a six-speed gearbox. Tata is planning to make the most out of Jaguar Land Rover and ZF partnership, by utilising its resources. The on-road price of new Safari 400 is expected to be between INR 11 to 16 Lakhs. Maruti Vitara might launch in India. Next Premium SUV in making?